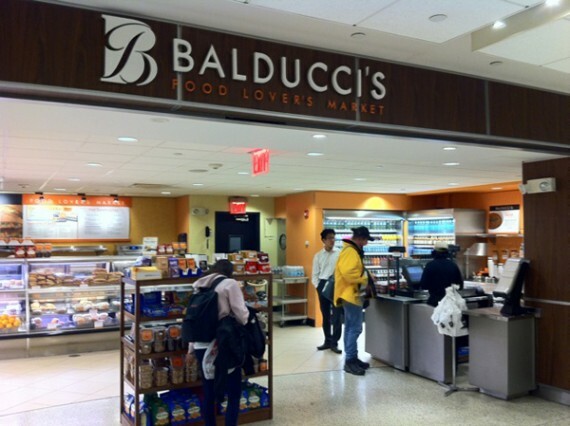 Resigned to an nine hour journey from Manhattan to Hollywood with nothing but a bag or two of potato chips to eat, I could not believe my luck when I stumbled upon an entire section of Vegan prepared foods at the busy Balducci’s Deli, right outside the United gates at JFK’s insanely busy Terminal 7. 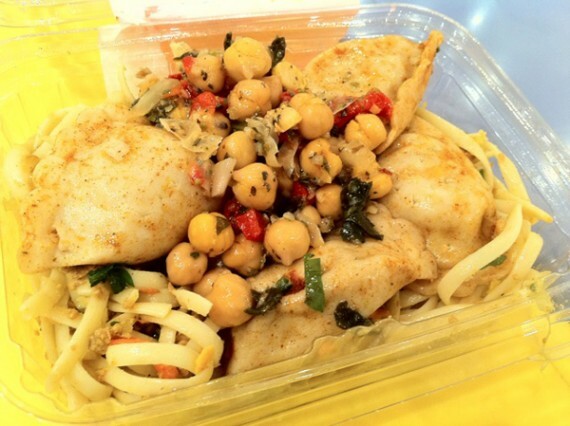 I opted for the two vegan dishes: Vegan Udon Noodles, and Vegan Shanghai Dumpling, with a side of Chick Pea Salad (sic). Right away I was astonished at the sheer weight of this food. There were easily three portions per package, and with two packages and the side salad I lugged at least seven servings of food back to my table!